The best way to get to know a place when travelling is by meeting a local. A girl like Stella knows her playground inside out, and she loves to show it off. 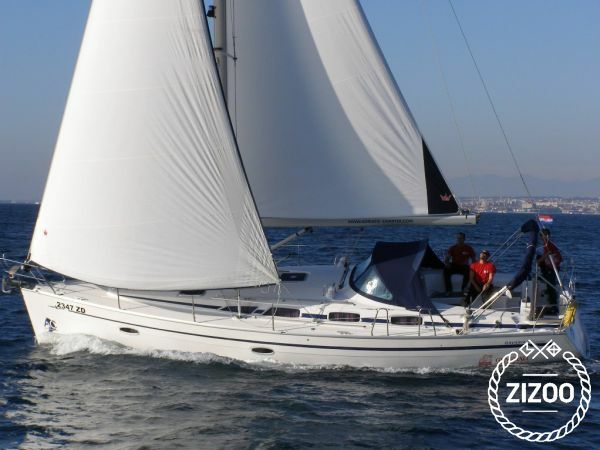 She is a 2009 Bavaria 40 that will happily take up to 8 people in her 3 double bed cabins and the saloon, her well sized beds and good headroom ensure a comfortable stay onboard. When she gets playful she can reach cruising speed of up to 7 knots. But she is also very gentle and likes to make people safe in her hands. So if you're interested in what's there to see and do in the area, this is your gal. You can easily reach all the best coves, beaches, towns and villages in the area, have a taste of local life, and of course, local food! :) If you don't need to hire a skipper, your charter staff will gladly suggest some routes you will certainly enjoy.